The Ministry of Commerce (MOC) is drafting new trade laws to safeguard local producers while promoting exports of domestically-produced goods. Due to the lack of investments and technology, Myanmar producers face stiff competition from their regional peers, who are able to manufacture at faster speeds and lower costs and produce higher quality goods. 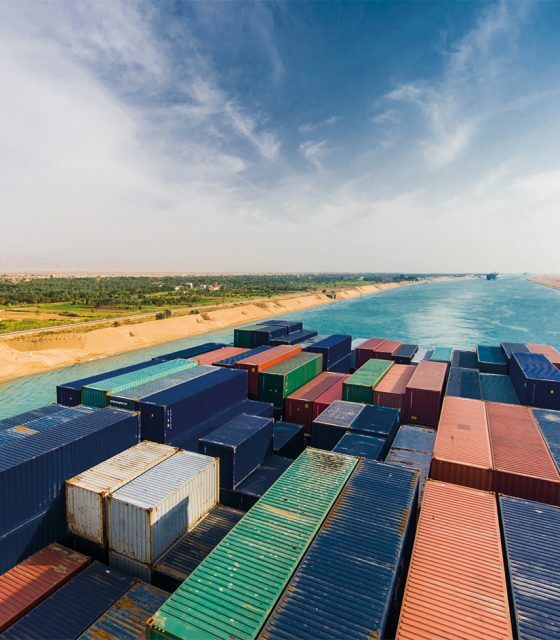 As such, the legislation, drafted in collaboration with the World Bank and German development agency GIZ, will include a new Safeguard Law on Increased Import and Antidumping and Countervailing Law. The laws aim to safeguard domestic manufacturers from cheap imports and support demand for locally-made products. At the same time, the government is also raising efforts to promote economic growth through exports by adding new priority sectors to its National Export Strategy (NES). Gems and jewellery, the digital economy, fruits and vegetables, agricultural product-based food products and industrial art products have been added to the NES 2020-2025, which replaces the first NES 2014-2019, according to the MOC. Notably, the new sectors appear to involve higher value-add and selected across a wider spectrum of industries compared to the current NES, which prioritises raw commodities including rice, pulses, oilseed crops, marine products, textile and garments and wood and wood products. In the first six months of this financial year, the country’s export earnings totaled some US$8 billion, which is up by more than US$650 million from the same period last year, buoyed by overseas demand for locally produced garments and despite lower exports of rice, beans and pulses. Meanwhile, spending on imports rose to US$8.9 billion during the same period, resulting in a trade deficit of more than US$100 million, according to data from the MOC. The Central Bank of Myanmar (CBM) officially introduced Japanese yen and Chinese yuan as settlement options for banks in cross border payments and transfers. With the aim of facilitating border trade, the CBM’s January 30 directive permits banks with Authorised Dealer licenses for foreign exchange to open yen and yuan accounts and settle trades in those currencies. However, opening personal accounts or legal entities in the two foreign currencies are not permitted. “The objective is for easy settlement when conducting border trades. Local banks can also make transfers among themselves,” said U Pe Myint, senior adviser to CB Bank. The setting up of the Ministry of Investment and Foreign Economic Relations, which was formed recently to attract foreign investment, is among the significant changes being made in Myanmar, said the Union Minister. The ministry’s MyCo System is offering online registration to companies, he added. He also stressed the important role played by the youth in the Fourth Industrial Revolution, appreciating the aptitude displayed by Myanmar youths who achieved success in the Robot Olympics. 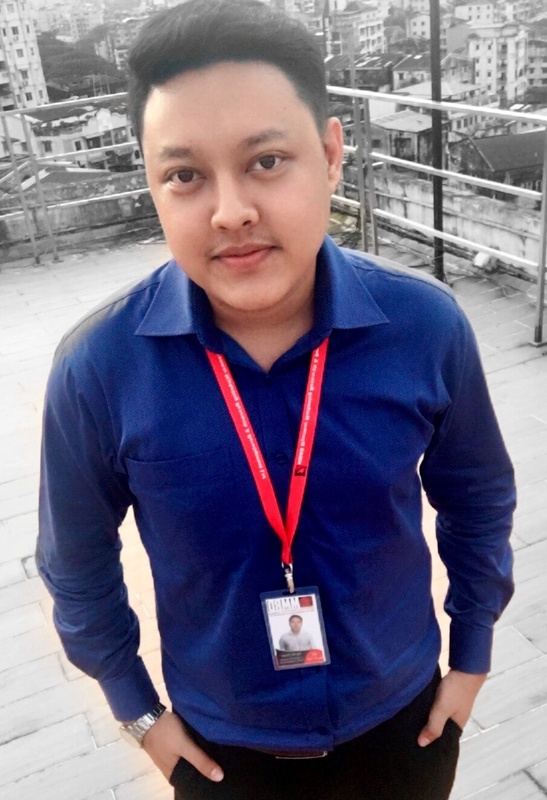 “Myanmar’s enviable geographical location makes the country a strategic place as it is sitting between China and India, and both countries are developing at the highest pace. Understanding the importance of the Belt and Road Initiative, Myanmar is making the necessary investments to improve its infrastructure,” said U Thaung Tun. When it comes to making and receiving investments, a win-win situation is important for both sides, and all need to work together to achieve it, he said. 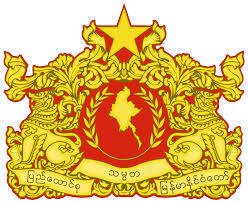 Regarding the situation in Rakhine, U Thaung Tun said the Union Government understands the situation in the State and has formed the Central Committee led by the State Counsellor to focus on implementing peace, stability, and development in the state. It has also set up the Union Enterprise for Humanitarian Assistance, Resettlement and Development in Rakhine State (UEHRD), the committee for repatriation and resettlement of displaced people in Rakhine State, and the Rakhine State Advisory Commission led by Dr. Kofi Annan, and is carrying out development works in the state. Lack of development is one of the main challenges faced by the state, and it is important to work for the development of the state rather than trading blame, he said. The Union Minister also praised the investors in Rakhine State, especially in the agriculture, production, education and health sectors, and called attention to the Investment Forum in Rakhine State, which will be held next month. The Ministry of Commerce says it will now be taking action against individuals or companies for the improper preparation of documentation for export and import invoices or sales contracts. Such improper documentation includes creating fake invoices or sale contracts, fraudulent data input, illegal transactions and wrongly listing prices and values in invoices or sales contracts with the aim to evade tax. If such documentation is found after checks, action will be taken according to the re-verification procedures of export/import prices as notified in June last year, the ministry said in a statement. 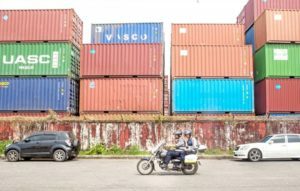 The companies found to be at fault will face action under the Import-Export Law, the Commercial Tax Law for tax evasion, and also the relevant laws for fraud, the statement added. Apart from 61 public listed companies, any business entities have no right to sell shares to the public, according to a statement by Directorate of Investment and Company Administration (DICA). According to DICA’s statement dated October 1, AMATA Holding Public Co., Ltd and Telecom Public Co., Ltd are able to sell shares to the public. The DICA will also later release the list of additional public companies which have earned rights for public offerings. On August 8, 2017, the DICA announced the names of 55 public companies which can take part in share trading and which are formed in accord with the Myanmar Companies Act. Four additional public companies were also announced on September 17 via the State-owned Mirror Daily. U Htay Chun, a member of the Security Exchange Supervisory Commission has warned that some companies are enticing the public to buy shares via online mediums with the high-return honeypot. Authorities and others in the industry had issued warning about such suspicious and illegal businesses in the past. U Aung Naing Oo, Secretary of Myanmar Investment Commission said that under the Myanmar Companies Act, non-public companies have no rights to sell shares to the public. Even public companies which get the nod for the public offering from the MIC can sell shares. 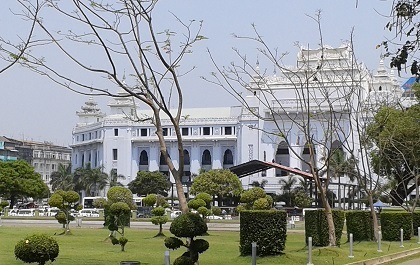 There are neatly 300 public companies in Myanmar. Of them, more than 60 can sell shares. The remaining companies are not allowed to sell shares. 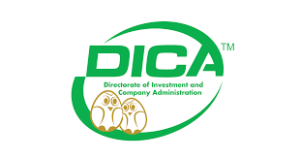 The Directorate of Investment and Company Administration (DICA)’s new electronic registry system will start accepting a number of forms related to company registration from today onwards. 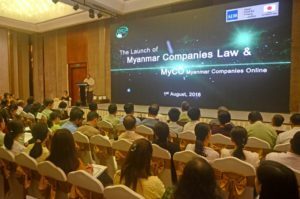 All company registration and filing processes has re-commenced since August 1 under the system Myanmar Companies Online (MyCO). The MyCO registry will be accepting the following forms online from now on: Form C1 (Notice of alteration of constitution), Form C2 (Notice of change of company name), Form C4 (Notice of change of registered office or principal place of business), Form D1 (Particulars of directors and secretary), Form G1 (Statutory Report of public company), Form G2 (Prospectus of public company), Form G3 (Statement in lieu of prospectus of public company) and Form G4 (Statement in lieu of prospectus of public company). In addition, from October 1, the registry will also be accepting Form C3 (Change to share capital or register of members), Form H1 (Registration of mortgage or charge) and Form H2 (Registration of mortgage or charge over property acquired by company). Under the new Companies Law, all companies registered in Myanmar have until January 31, 2019 to re-register on MyCO. If an existing company does not re-register electronically before that deadline, the registrar may strike its name off the register and announce that the company shall be dissolved, while continuing to enforce the liability of its directors and members. Amid a slowing economy and complaints from the business community, Myanmar’s parliament has approved a National Planning Law for the 2018-2019 FY which expects to see the highest growth rate in the country’s telecommunications, industrial and financial sectors. President U Win Myint signed the bill with the approval of the Union Parliament and it is to be effective from October 1 this year to September 30, 2019. According to the National Planning Law, the government expects to increase the growth of GDP from 6.8 percent to 7.6 percent, while the telecommunications sector is projected to grow by 15 percent, the industrial sector by 11.2 percent and the financial sector by 9 percent in the coming fiscal year. The law states that the government will make efforts to improve the trade sector by 7.7 percent, the mineral sector by 7.5 percent and the social management sector by 7.3 percent. Meanwhile, a growth of only 4 percent is expected in the fisheries sector, 2.9 percent in the energy and electricity sector, 2.4 percent in agriculture and 1.1 percent in the forestry sector. 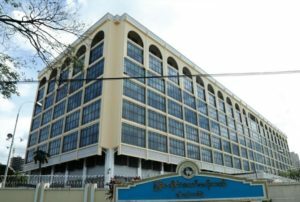 The government projects that the highest growth rates will take place in Yangon Region, Naypyitaw Union Territory, and Kachin State with rates of 9.8 percent, 9.6 percent and 9.3 percent respectively. The move comes after the Food and Drug Administration (FDA) met with 41MLM companies and conducted audits on the companies’ books in February. 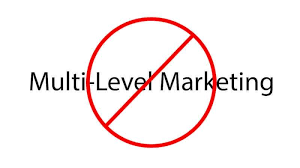 Officials are taking action after studying this field and having found that many consumers have fallen victim to MLM strategies. At the regions and states, some regional governments have already prohibited MLM businesses from operating, said U Khin Maung Lwin, assistant secretary of the MOC. U Maung Maung, secretary of the Myanmar Consumers Union, said his organisation has always been opposed to MLM and has been calling for further regulation of this business model as many consumers have been negatively impacted by MLM.